This is legitimately terribad, and I thought it was better than Hyouka. Jormungand, Sengoku Collection, Lupin the 3rd: Mine Fujiko to Iu Onna, Natsuiro Kiseki, Nazo no Kanojo X, Tasogare Otome x Amnesia, Shining Hearts: Shiawase no Pan, Sakamichi no Apollon, Haiyore! Nyaruko-san, Upotte! 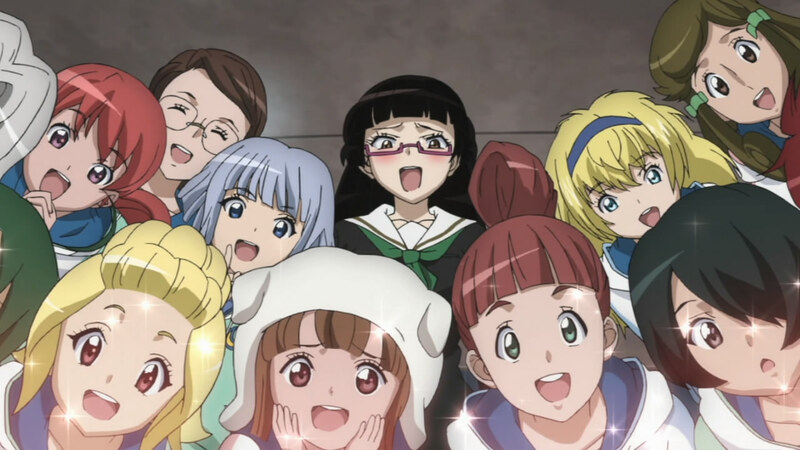 !, Space Brothers, Queen’s Blade Rebellion…I know that’s technically a list rather than a real sentence, but that is the list of shows that began in the spring season and would have been in the top five episodes I watched each week. There’s probably a very noticeable series that did not make that list if you kept track of when I started doing those weekly recaps again. That would be Hyouka if you were paying attention. The final episode of Apollon takes place over the span of about 9 years from the aftermath of Sentarou’s departure all the way to the final reunion at the end. In that space in between Kaoru tries to burn his bridges with Ritsuko, then has an emotional departure as he heads to Tokyo. Then, 8 years in the future, characters make cameos which ultimately lead to Kaoru finding Sentarou on an island church where they play yet another set just as Ritsuko arrives. The 10th episode of Apollon begins with the effects of Yurika’s departure and ends with another departure that was entirely unexpected. News of Yurika’s elopement meant that any reminders of her existence had to be removed from the school, including the award winning painting that Sentarou modeled for. After trying to help Sentarou to help recover emotionally from Yurika, Kaoru ends up helping Sentarou pass the tests that he needs just to make it to the 3rd year of high school. 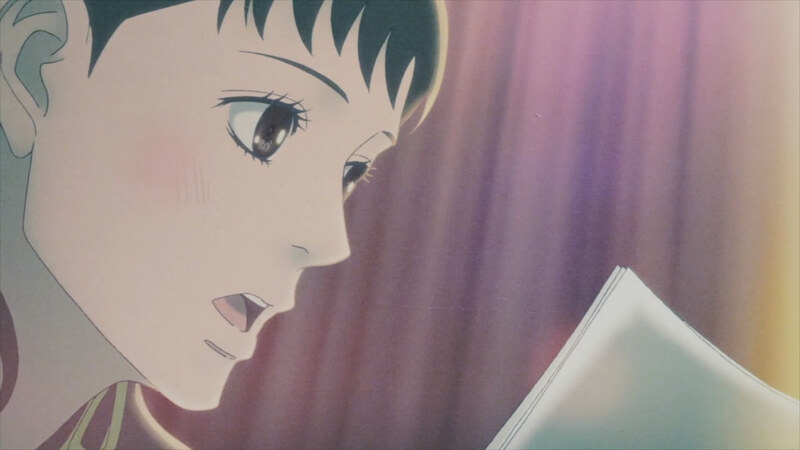 Then, Kaoru has two separate conversations with Ritsuko that seem to go nowhere, but her departing words after the 2nd one convince him to successfully confess his feelings for her. 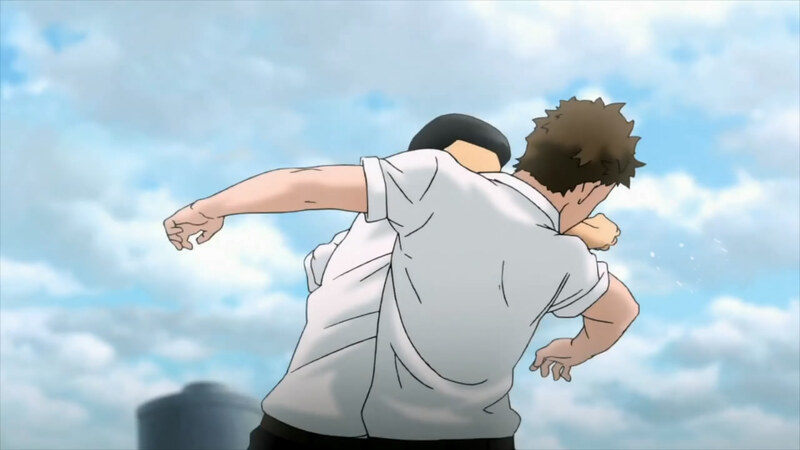 Months pass before Seiji throws down the gauntlet at Kaoru and Sentarou over who can win at the school festival. 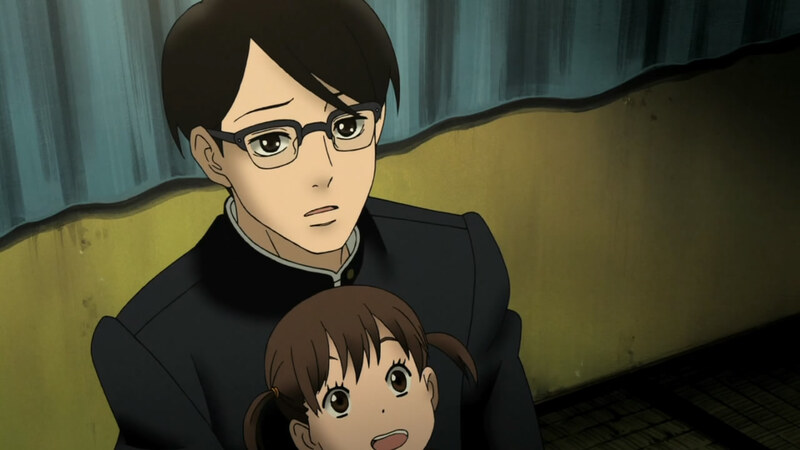 Before they can play again, however, Sentarou’s father was about to return home. Leave it to the Americans to unashamedly lead the way. The 9th episode of Apollon heads for the finish as the relationships at the center of the story reach resolution. Kaoru continues to want to force Ritsuko and Sentarou together, but she would not have any of that. 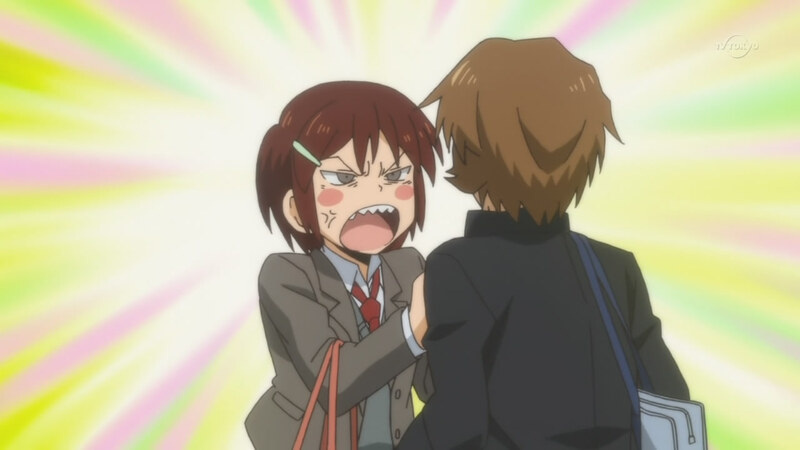 After calling Kaoru an idiot, she tosses her gift to him aside only to later regret it after talking to Sentarou. Meanwhile, Jun plans to head back to Tokyo to take on a publishing job and without Yurika. 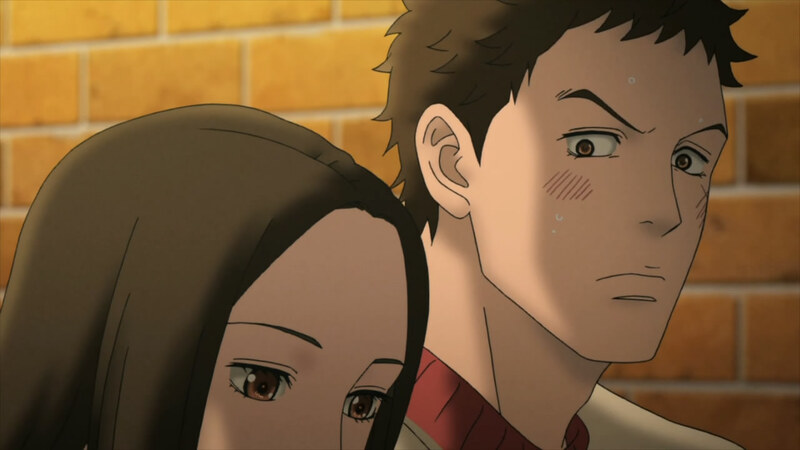 After Jun says his farewells to Sentarou in what can only be described as a confrontational jazz session, he is confronted by Yurika on the train platform. 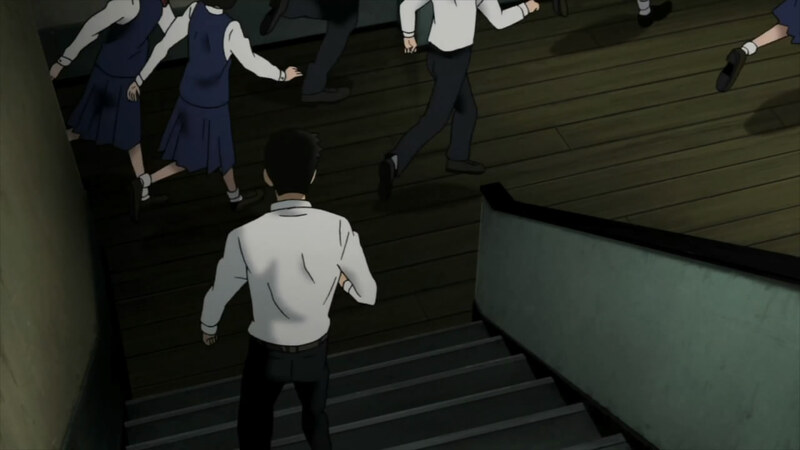 These people are running away from their duties at the cultural festival for some reason. 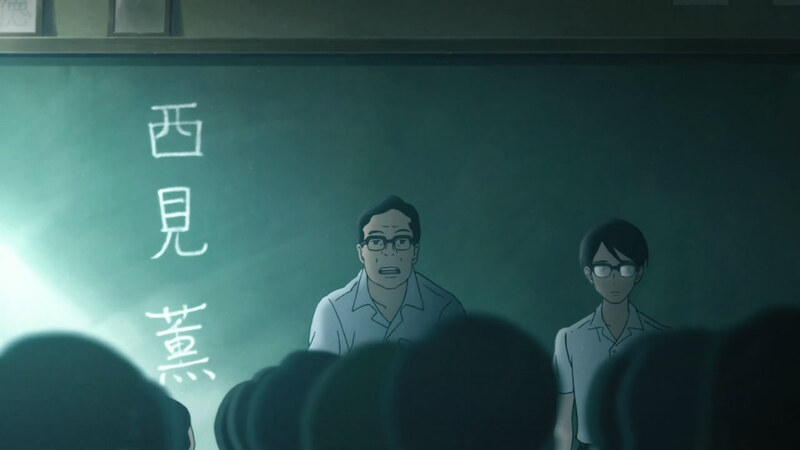 The 7th episode of Apollon is an episode about the restoration of relationships, but not without some caveats. Without the pressure of being in a romantic relationship, Kaoru and Ritsuko grow closer and are even put together by their peers. In the meantime, however, Sentarou endures having the last vestiges of hope with Yurika disappear along with seeing someone he looked up to in Jun destroy himself. The preparations for the festival also take place in anticipation for the big day as Sentarou and Kaoru’s relationship seems to grow very distant. Then, by a stroke of fate, things would change for everyone with a single performance. The 6th episode of Apollon brings with it a mix of Greek philosophy and new characters and music. 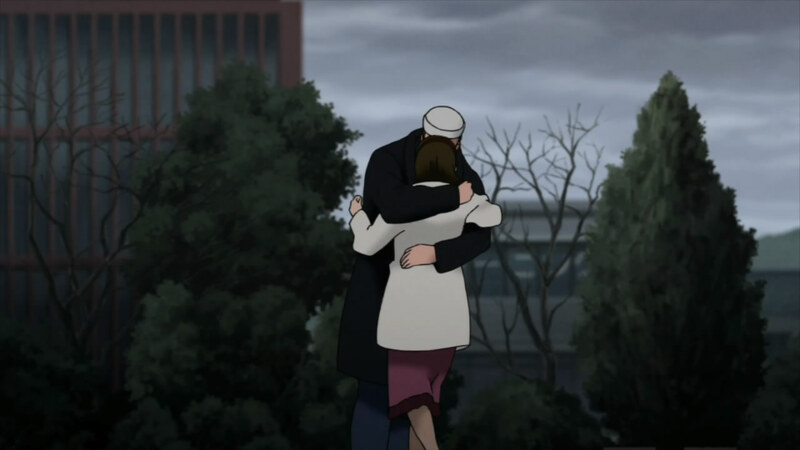 The resulting combination ends up even further complicating the relationships that have been established in this episode, while also setting up further conflict in the future. The driving factor in all of this, Jun’s cynicism about people in general. 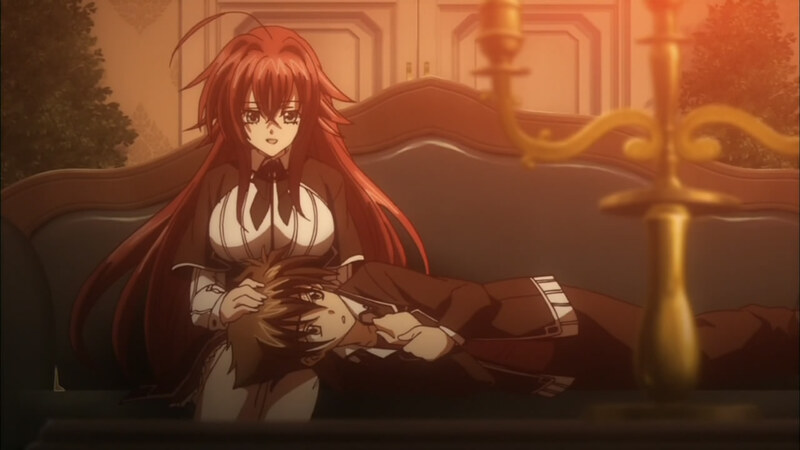 Somehow, I don’t think Sentarou will be feeling the same thing about her by the end. The 5th episode of Apollon is a spiritual journey of sorts for Kaoru as he tries to figure out where his relationships with others lie. Kaoru’s journey begins with the official confirmation that Ritsuko’s heart lies with someone else. He reacts by completely withdrawing from interactions with Sentarou and Ritsuko, who thought she had said the wrong things to him. However, with his father now home, he is given a letter which has the address where his mother is working. 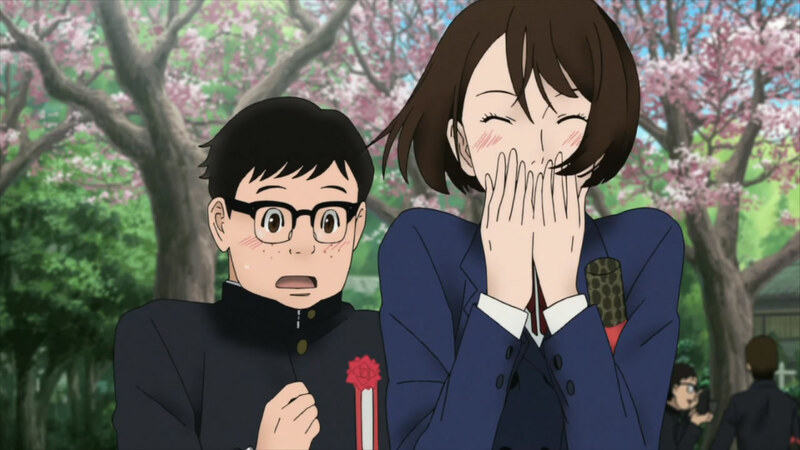 Sentarou convinces him to take a train back to Tokyo, and he also tags along. The intersection of 2 childhood experiences never to meet. The 4th episode of Apollon ends with a distinct feeling of cruelty as idealism seems to lose out to a cruel humanity as experienced by Sentarou. The episode begins with the music shop quartet finding out they will be playing a gig at a bar. Meanwhile, Kaoru continues to chase after Ritsuko, but the feeling of love is not mutual. 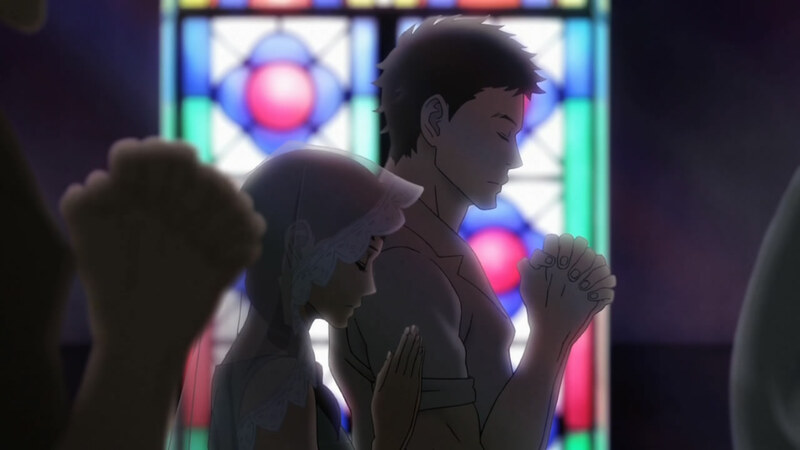 After seemingly being rejected, Kaoru lashes out at Sentarou, who then forces Kaoru to the church where we get a brief and all too tragic life story from Sentarou. The gig comes and Sentarou once again has to deal with the same abuse he’s had to deal with his whole life. Kaoru gets a look at an entirely different world. 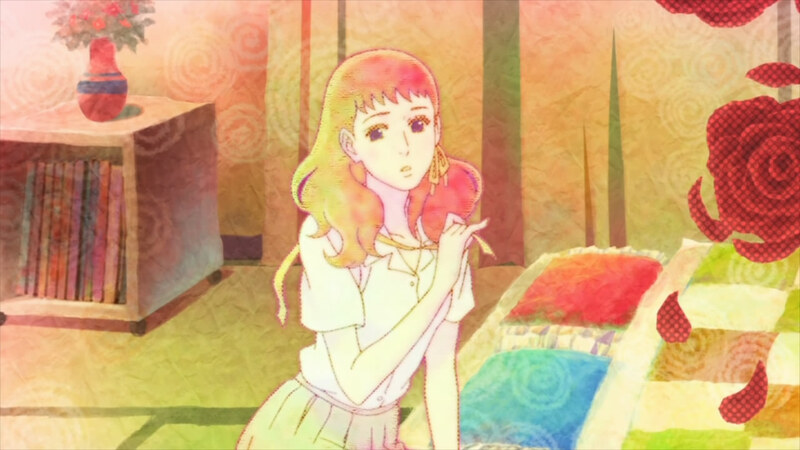 The 3rd episode of Apollon fully introduces a new character in Yurika, who seems to be driving a wedge in the relationship between Kaoru, Sentarou and Ritsuko even if she isn’t intending it. Kaoru begins the episode by giving Sentarou information on the girl he has fallen for then drafting a plan for an invite to a double date so they can both get closer to the girls that they each like. That doesn’t quite go to plan, nor does the date itself. 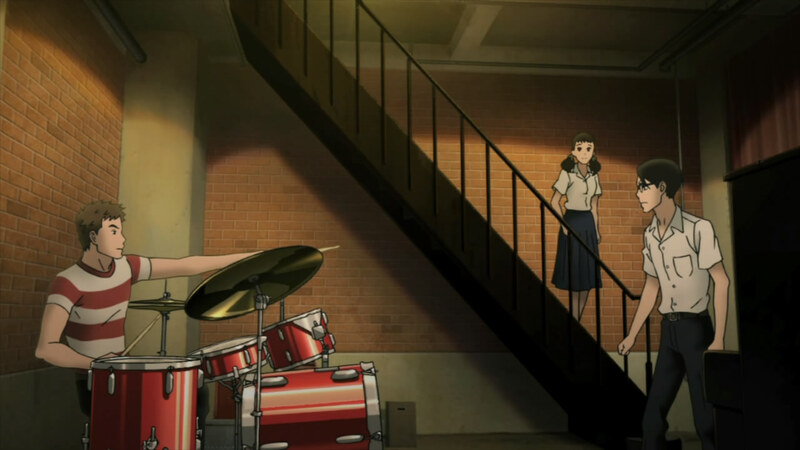 In the aftermath, Kaoru and Sentarou argue, but ultimately their love of jazz healed that temporary fracture in their friendship. Then after a timeskip, Kaoru finally makes his move after seeing Yurika and Sentarou in a compromising position at school. 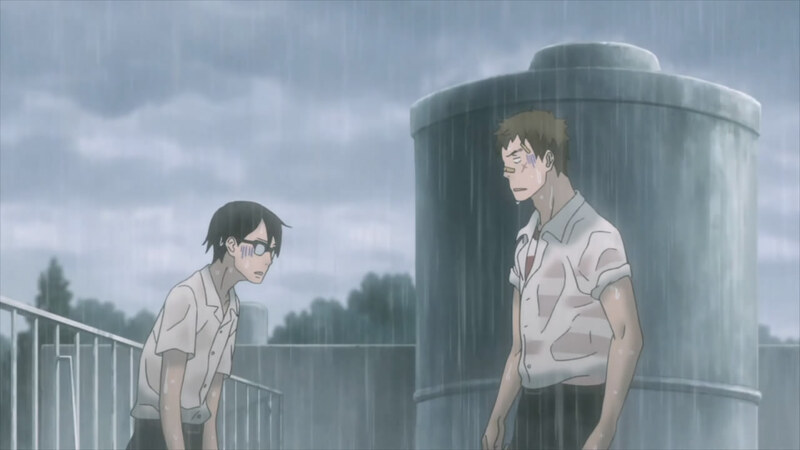 The 2nd episode of Apollon focuses on the developing friendship between Ritsuko, Sentarou and Kaoru. 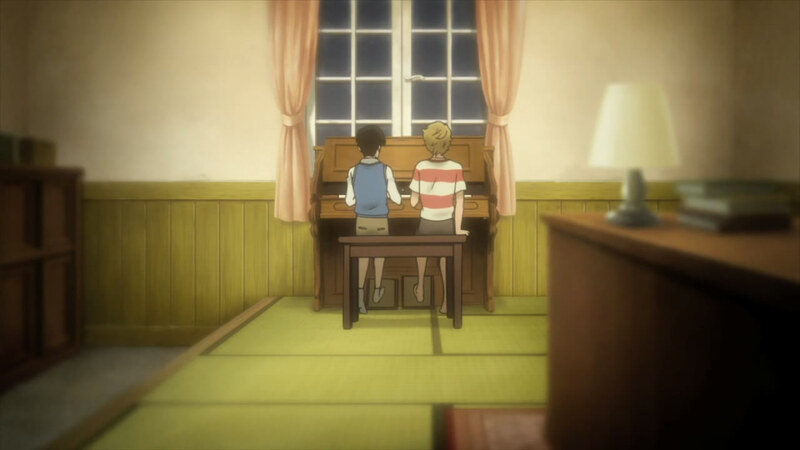 The episode begins with Kaoru trying to get an understanding on how to play jazz on the piano, which he picks up rather quickly from the record he purchased at the end of the last episode. Then after school, he is surrounded by a few of his male classmates who want to bully him, but his friends save him in the end. 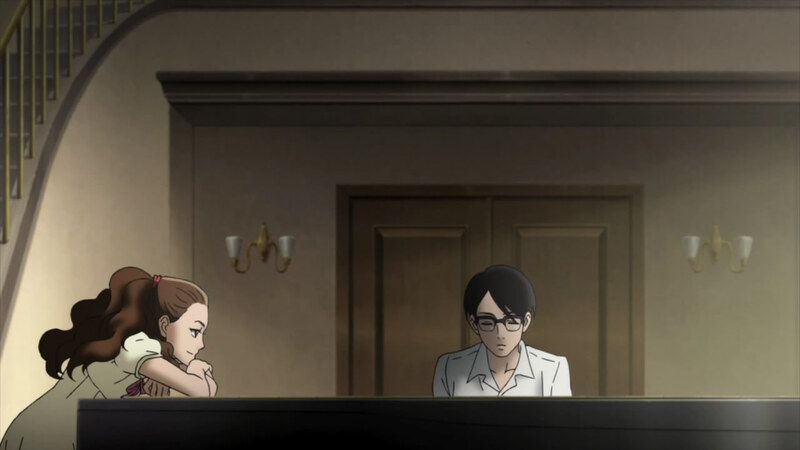 He then plays with a live session on the piano with Sentarou, Ritsuko’s father, and their neighbor Jun. Finally, the three meet at the start of summer vacation for some outdoor fun among other things. This kid is from Yokosuka, so he has no friends so feel free to pray on his social anxiety. 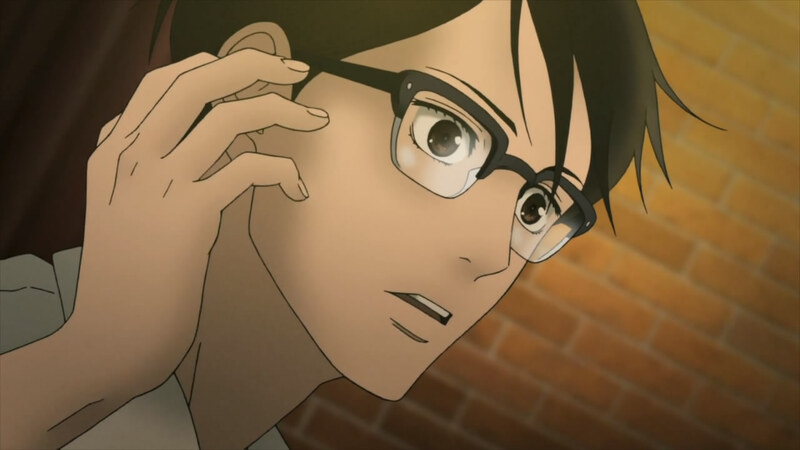 So into my first attempt at blogging a Noitamina show. While it’s mainly associated with quality over the years, for someone like me it’s become another matter entirely. The disappointing ending of Honey & Clover, Guilty Crown, the money-spinning exercise that was Black Rock Shooter and of course Fractale. Even my thought that C was one of their better shows was considered a little strange, but I digress. 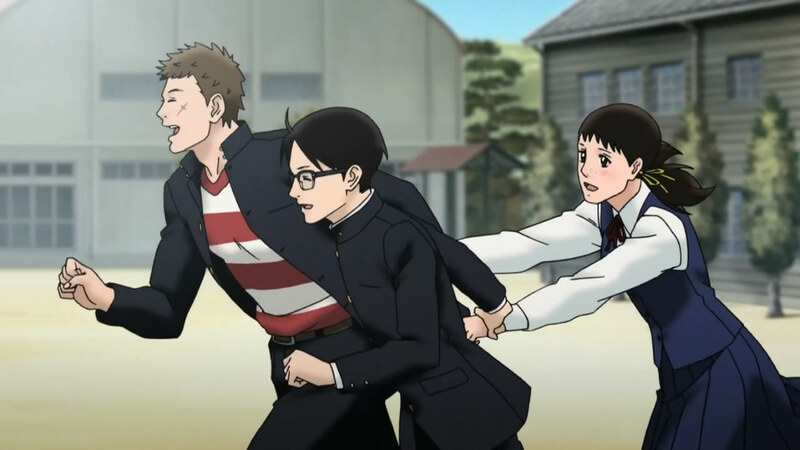 In Sakamichi no Apollon, we have the combination of Watanabe Shinichiro and Kanno Yoko to direct and provide music respectively. While also being written by someone who did a few episodes of Akane-iro Somaru Saka. 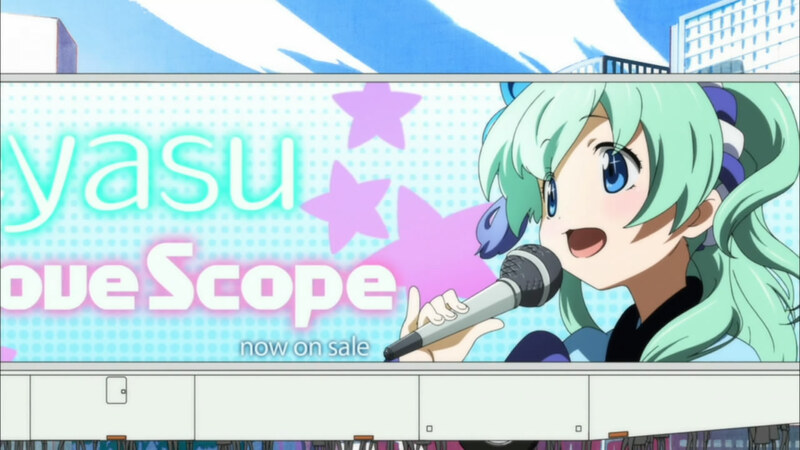 A mixed bag of course, but I figured this probably presented the first real opportunity for me to blog a currently airing show that didn’t turn out to be a disappointment either in quality or in sales. The main cast meet for the first time at what will probably become a familiar hangout. 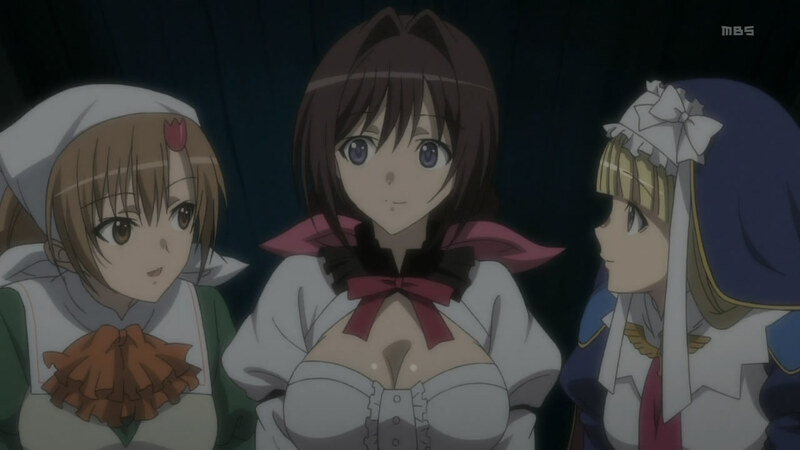 The first episode presents us with a lead character, Nishimi Kaoru, who has a grim view of the world. 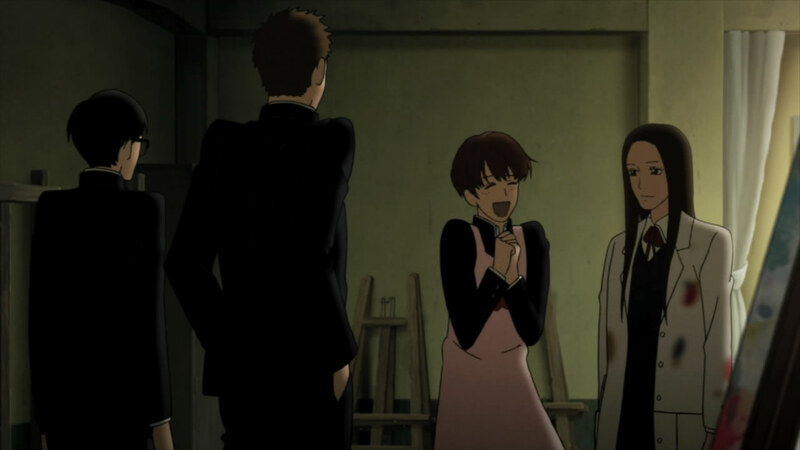 That changes as he meets Ritsuko and Sentarou who all become friends even if they don’t consciously realize it yet. There were quite a few things I found interesting about this episode obviously. The World of 1966 was a strange place. When North Korea could beat Italy at football and boys school uniforms were futuristic. First, the setting of 1966 does make it seem like the world has become an entirely different place. One of Kaoru’s internal thoughts is that he struggles to make out the Kyushu accent. What may be considered a day trip in the modern world was like traveling to an entirely different country 45 years ago. And those journeys have taken a toll on Kaoru since he doesn’t fit the bill of a traditional child of the time. He’s a child of a single parent, which has forced him to move from place to place. All the while he developed social anxiety in not wanting to stick out to much. Being the new guy all the time speaking in an entirely different accent makes that rather hard to avoid. All he had to do was be asked to get that key and he'd put himself through that for him. 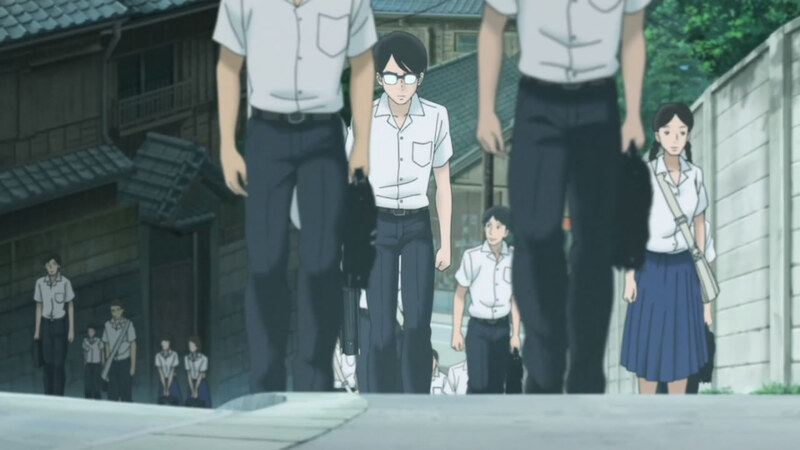 First, enter Sentarou, who is also seen as an outcast because he doesn’t act like anyone else. He’s not anti-social, and he doesn’t dread going on the hill to school like everyone else. He also struck me as rather bored of life, living to a jazz beat while everything else went at the same rhythm. Kaoru changed that simply by having a quirk that required him to go to the roof of the building when under stress. He just wanted to see what happened to him even if it was during a downpour. I'd imagine being invited to a girls home 45 years ago was even more risque than what seems stereotypical now. Ritsuko, as Sentarou’s childhood friend, took an interest in Kaoru because at first he was the new person and she was the class chair, but then because he seemed to be the first person Sentarou had been friendly with in a long time. She further pushes the story along by dragging him to a record store and forcing Kaoru to meet Sentarou in a much less formal place. Kaoru plays a rather boring piano I must say. He will learn it eventually. Now onto the music. It plays a role throughout the episode. Kaoru’s one consistency in life has been the piano. Good classical music that can only ever be played in one way correctly. 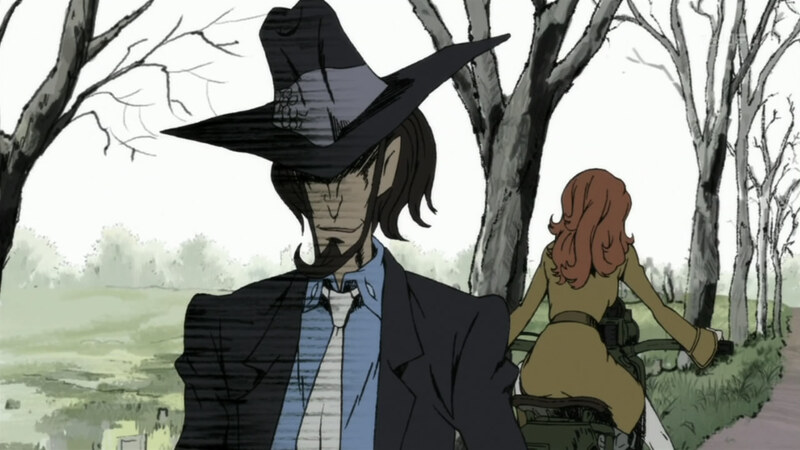 Which is where Sentarou’s role in the episode proved so important. When Kaoru was trying to play some jazz piano, the lesson wasn’t about how technically correct the music was played, but rather how it felt to someone listening to it. Even his cousin early in the episode was bored with his technically proficient classical piano. The reason the store is filled with American jazz are the two guys on the left. 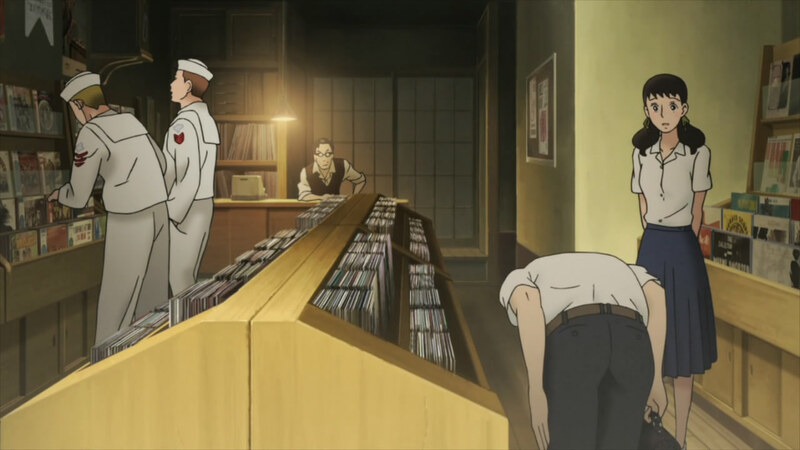 The record store that Ritsuko’s father owned was also very interesting just for who was in there. It was stocked filled with the latest jazz records from the States. The people browsing the store were in naval uniforms. This was still 1966, in the middle of the Vietnam War and that part of they were in a part of Japan that was used to house parts of the US Navy. This sets up a rather interesting set up going forward. Will this new group of jazz playing musicians end up playing to a bunch of American sailors while scorned by their peers? It poses an interesting question going forward. That magical moment when you're mind is awakened to new music. Also, there were two fantastic moments involving Kaoru which involved no speech at all. After standing out in the rain without an unbrella and then returning, he no longer felt the tension he felt before as though the rain had washed it all away. The second was in the basement when he held his ear while Sentarou played the drums. He couldn’t make sense of the sound he was hearing until that magical moment when he found the beat and he stopped covering his ear. Just like that, his mind had been opened to a new world.